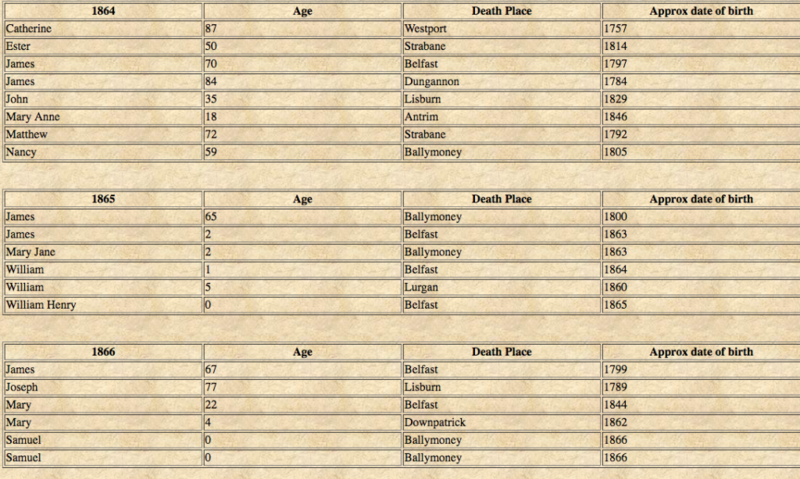 My 4th Great Grandad was James Pinkerton, born c 1750 in Ayrshire, possible Irvine. The Pinkerton Clan was not as small as you would at first think. Some of the Pinkerton’s originated from Antrim in Ireland but others in the Borders of Scotland and England. Many of the Pinkerton descendants left for America and Australia. PINKERTON. From the old barony of the same name near Dunbar, East Lothian. Nicol de Pynkertone of Haddingtonshire rendered homage in 1296 (Bain, II, p. 210). His seal shows a mastiff barking, a rose above, S’ Nicolai de Pincriton (ibid., p. 544). Patrick de Penkerton had protection for a year in England in 1396 (ibid., IV, 484). The name was not uncommon on the West Coast in the sixteenth century and earlier. The tenement of John Pinkerton in Glasgow is mentioned in 1494 (REG., 469), and a resignation of property in favor of Felicia Pyncartoun in Glasgow is recorded in 1552 (Protocols, I). John Pynkertoun rendered to Exchequer the accounts of the bailies of Rutherglen, 1559, and Malcolm Pincartoun rendered the accounts of the same burgh in 1566 (ER., XIX, p. 89, 325). The barony of Pinkerton was granted to the first earl of Argyll in 1483 on the forfeiture of Albany. John Pinkerton (1758-1826), the historian, is the best known of the name. Allan Pinkerton (1819-1884), the famous American detective, was born in Glasgow. Pincartone 1707, Pincartoune 1540, Pinkartoun 1677, Pinkcartoune 1648, Pinkertoune 1668, Pyncartoune 1533. Relationship to the Clan Campbell. The lands and barony of Pinkerton in Lothian were for a time held by the Campbell Chief. Pinkerton is a sept of the Clan Campbell. There are a few families Pinkerton, unrelated to my own branch that I have stumbled across during this research. Here are a few of the Scots lines. Most of these families come from the West of Scotland, so family relationships must be high on the agenda. George Pinkerton was born 1817 in Bonhead, Neilson Parish, Scotland. He married Agnes Crawford on 15 Jan 1835 in Paisley Abey, Refrew, Scotland. He died on 5 Apr 1838 at sea on board the ship Duncan. They had three children: Catherine (12 Jan 1835, Scotland-20 Jul 1876, Australia), Robert (b.3 Jun 1836), and an unnamed son born at sea on 14 Jun 1838. Catherine married William Henry Bryant (b.c.1820, England) and their descendants are mostly in Australia. Scottish descendants of David Pinkerton (1 Jan 1686-1790) and Mary Risk. They had three sons: William, John, and David. David (ca.1737-Oct 1781) emmigrated to New Jersey, married Mary FitzRandolph and had eight children: David S., Jane, John, Anne, Samuel, Joseph, William and Maria. This branch of the Pinkerton name has spread to New Jersey, Pennsylvania, Indiana and Michigan. Scottish descendants of John and Elizabeth Pinkerton. 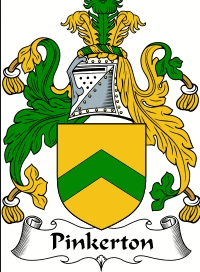 The family probably originated in County Antrim, Northern Ireland. John and Elizabeth had seven children: Robert, John, William, Frank, Allan, Elizabeth and Henry, all born ca.1900-1911. 1) Robert Pinkerton (b.ca.1770 Scotland) and Jane Lockridge had at least one son Samuel (1803 NIR-1892, Wisconsin) who married Mary Warnock (1813-1891) and had seven children: Robert R., Elizabeth, John Loughridge, James Loughridge, Jane L., Samuel D., and William. 2) James Pinkerton Sr. (1800 NIR-1865 NIR) married Rachel Warnick/Warnock (1795-1871) and had seven children: Robert, Samuel W., James Jr., William, John, Sarah, and Andrew. 3) Robert Pinkerton (1797-1876) married Margaret Devine and had four-six children: Jane, Mary (possibly), Samuel David, William (possibly), Robert A. and John. Robert and James may be sons to Robert and Jane, but no proof. 4) Story of Pinkerton brothers coming to Ireland from Aryshire, Scotland at the end of the 17th century after the battle of Bothwell Bridge. One brother settled in Antrim, one in Down and one in Armagh. These branches of the Pinkerton name have spread from Scotland and Northern Ireland to California, Colorado, Iowa, New York, Oregon, Washington and Wisconsin. t least six generations of descendants from John Pinkerton (abt. 1762-28 Aug 1854), a highland Scot to came to America before he was married to Elizabeth Moreland Young (abt. 1776-30 May 1852) in 1798. John and Elizabeth lived in Mercer County (now Lawrence), PA and had seven children: James William, John, William, Jane Elizabeth, Samuel, Alexander, and Elizabeth. James William (Oct 1779-7 Oct 1874) married Anne Byers (6 Oct 1799-8 Feb 1879) in 1821. James and Anne lived in Mercer County (now Lawrence), PA and had nine children: Elizabeth Jane, William Byers, John Alexander, Margaret Ann, Mary Malissa, Nancy Lucinda, James Thomas, Samuel, and Ebenezer F.S. James Thomas (28 Nov 1835-2 Nov 1913) married Sarah Ann Donley (abt. 1840-16 Aug 1904) in 1859 and had ten children: John Calvin, Frank Elmer, James William, Ella Mae, Jessie L., Harry Beatty, Blanche H., Minnie H., George A., and Howard Edwin. Howard Edwin (8 Jan 1879-26 May 1948) married Anna Marie Martens (18 Oct 1883-28 Jan 1962) in Nebraska and had nine children. They are the researcher’s grandparents. The family has spread from Pennsylvania to Alaska, Arizona, California, Colorado, Iowa, Nebraska, Nevada, Oregon, South Dakota and some to Washington. Scottish descendants of Peter Pinkerton (d.1868) and Martha Gemmell. They had at least one son John, who married Jessie Jamieson in 1854. At some point the family came to Canada and some of the current generation is in the Toronto area.